Featuring 8 classic Nursery Rhymes this beautiful Rag Book maybe just what youre looking for to gently send your child off to sleep. 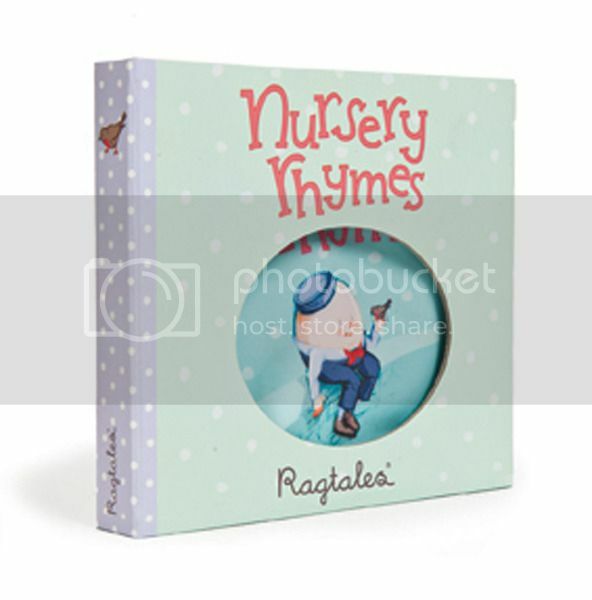 With hand drawn illustrations each nursery rhyme is true to the original and comes packaged in a lovely book style box with a circular cut out front opening and magnetic safe fastening. Machine Washable Soft Fabric Book. Would make a lovely gift for that special little person.